Many people can claim a complete self-build but Andy Newman took the concept one step further by building his own sandblasting booth for the job. “I restored the whole thing myself, engine build, electrics, spraying, panel beating, even the sand blasting. 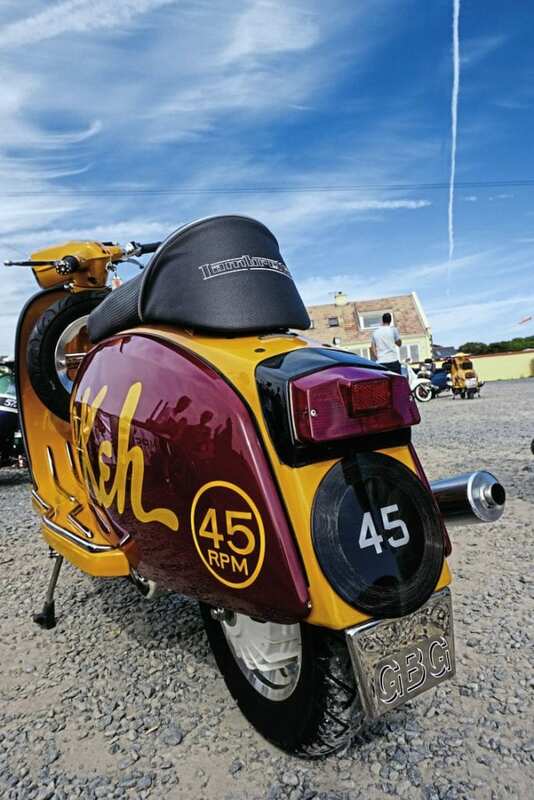 The only body part that is new is the front mudguard. Everything else was on the scooter when I bought it, some bits might not be 100% GP, but I am happy with that,” he says. Andy bought the Italian GP in 1989 and used it for a couple of years on rallies before laying it up around 1993. 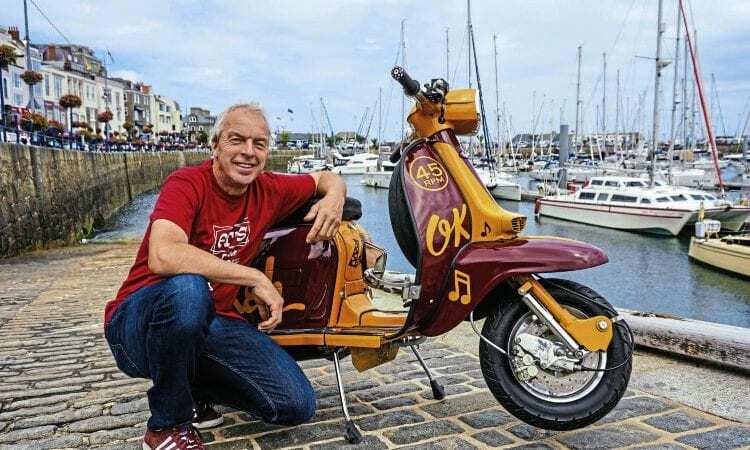 There was still love for the old machine which moved around the country with Andy several times, finally stopping in Guernsey. 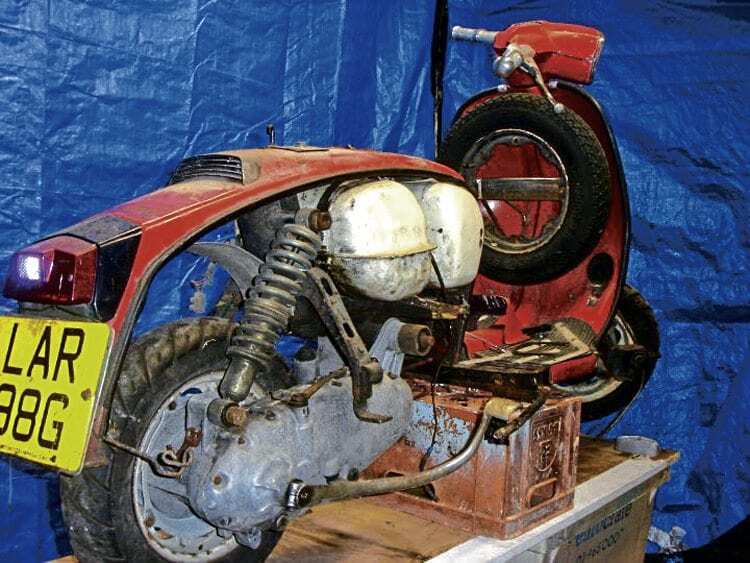 Then winter restoration started with the intention of attending the next IOW rally. 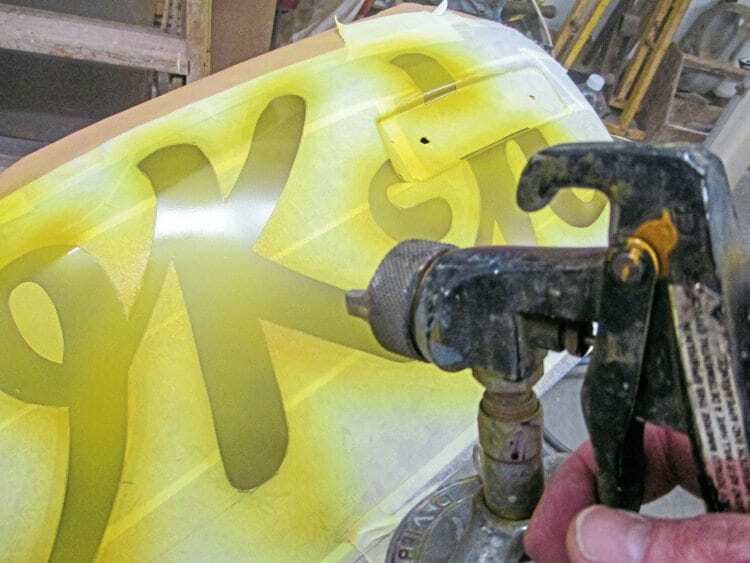 While many may consider an engine rebuild, few will attempt paint — especially a custom scheme — but Andy isn’t just anyone. 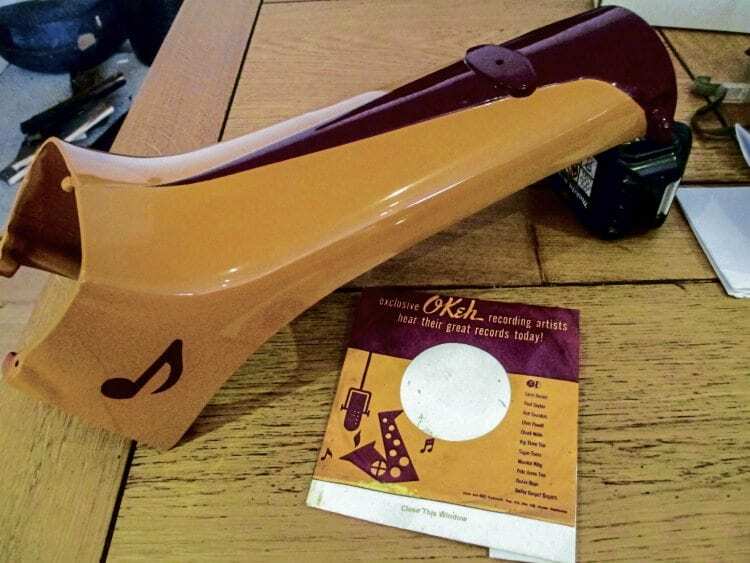 “I have been a collector of vinyl soul records for years and decided that I wanted to do an Okeh spray job. It’s an iconic label with an interesting history as it was founded by Otto K E Heinemann, who named it using his initials.